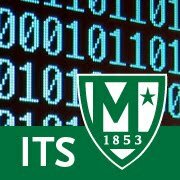 The Moodle course server: https://lms.manhattan.edu was recently upgraded from Version 2.7 to 2.9, a 2-part upgrade in release functionality. Our Infrastructure group is still in the process of completing that move. When complete, you will notice a link to the Archive Server in the Moodle server navigation menu. For a quick guide illustrating the biggest new features with screenshots, visit the Moodle 2.8 New Features and the Moodle 2.9 New Features pages. For more in-depth technical info on the new features introduced in each release, please visit the Moodle 2.8 Release Notes and the Moodle 2.9 Release Notes pages.